According to recent estimates, the rapid increase in population coupled with changing lifestyle and consumption patterns is expected to result in an exponential increase in global waste generation of up to 18 billion tonnes by year 2020. 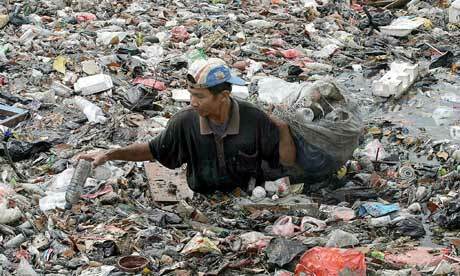 Ironically, most of the wastes are disposed of in open fields, along highways or burnt wantonly. Waste generation rates are affected by socio-economic development, degree of industrialization, and climate. Generally, the greater the economic prosperity and the higher percentage of urban population, the greater the amount of solid waste produced. Waste-to-energy is increasingly getting acceptance as an integral component of waste management hierarchy. Reduction in the volume and mass of solid waste is a crucial issue especially in the light of limited availability of final disposal sites in many parts of the world. The world’s view of waste has changed dramatically in recent years and it is now seen as a resource to feed the ever-growing demand for energy. The growing use of waste-to-energy as a method to dispose solid and liquid wastes and generate power has greatly reduced environmental impacts of municipal solid waste management, including emissions of greenhouse gases. The global energy market is witnessing a shift toward waste to energy technologies due to growing energy demands worldwide, the rapid depletion of conventional sources of energy, and concerns over environmental pollution from conventional energy sources. Waste-to-energy technologies can address a host of environmental issues, such as land use and pollution from landfills, and increasing reliance on fossil fuels. In many countries, the availability of landfill capacity has been steadily decreasing due to regulatory, planning and environmental permitting constraints. As a result, new approaches to waste management are rapidly being written into public and institutional policies at local, regional and national levels. An increase in the quantity of waste generated, coupled with the need for proper means of waste disposal as well as widespread adoption of technology and better collection efficiency of municipal solid waste offers significant growth opportunities in waste-to-energy market. As WTE facilities are increasingly becoming profitable cash generators in their own right, private sector companies and investors have been increasingly taking a greater stake in this industry. Private participants in developing countries, such as India, have shown considerable interest in projects to generate power from MSW, and several of them are operational and using a diverse range of technologies, despite the lack of subsidies and support from the government and municipal authorities.